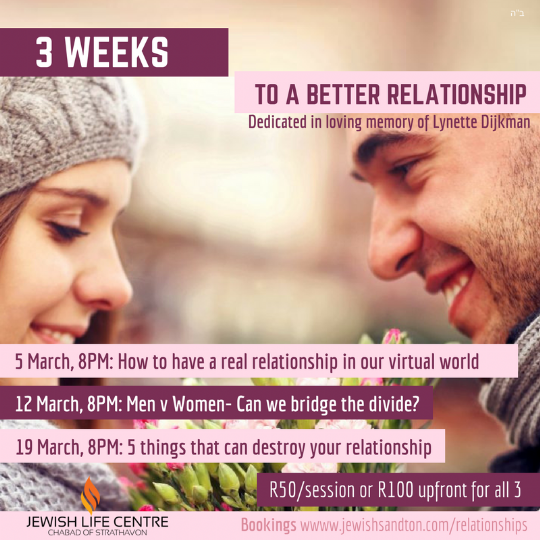 Explore three life-changing aspects of relationships with Rabbi Ari Shishler. So much knowledge available for only R100 per person. Click here to book for the workshop.